If you can't or don't want to drive, Uber in Chiang Mai is a fantastic option. Use this Uber Chiang Mai promo code to get free rides: AMYL15952UE . Click here for instructions. Uber is a kind of taxi service. It's an app matching people who need a ride with drivers who give rides. Download it here. Cars come within minutes of being called. They're always spotlessly clean, have working seatbelts, the drivers are friendly, and they use GPS so you don't need to know directions. They're cheap, too. Use my Uber Chiang Mai promo code and you'll get free rides: AMYL15952UE . Click here for instructions. Install the Uber app on your on iOS, Android or Windows phone. Open Uber, set your pickup location, and tap ‘REQUEST UberX'. There are different kinds of Uber vehicle. UberX is the only option currently available in Chiang Mai. - UberX is the cheapest option. These cars can seat up to 4 passengers. If you have Location enabled, you should see a blue dot where you are. Alternatively, use the search option or pinpoint on the map. TIP: sometimes Location isn't 100% accurate in Chiang Mai. I always search my current location using the search option to ensure it's correct. It usually takes between three and ten minutes. You will see their name, star rating, and car model. Wait for your Uber to arrive. The app displays an arrival ETA. You can watch your Uber's progress on the map. When your driver is 2 minutes away, go outside to meet them. Confirm their name. Get in. Enjoy your ride. Let your driver follow their GPS and relax. You can see your progress and ETA on your phone, or your driver's phone if you don't have data. You can also send your ETA and journey progress to friends. You can pay in cash or by card. Your phone or your driver's phone will display the fare. If you're paying by card it'll happen automatically - you don't need to do anything. You'll get a receipt to your email inbox whichever way you pay. Give your driver a rating out of 5 stars. If everything was fine, give them a 5. Apparently, if a driver falls below 4.5 they get ‘fired' from Uber! So only give a lower rating if something actually went wrong and the driver didn't fix it, or they were talking on their phone while driving, etc. Also be aware that your driver will rate you out of 5 too, to help future drivers decide whether to pick you up or not. 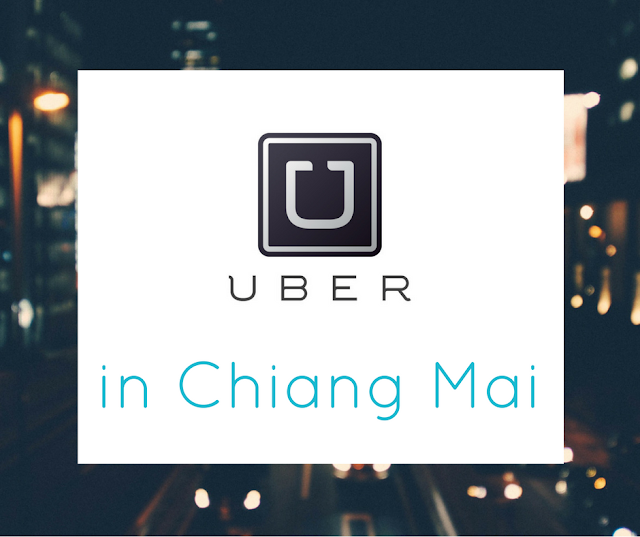 How much does Uber cost in Chiang Mai? Uber prices in Chiang Mai are cheap. A taxi from Bangkok Hospital to Huay Kaew Road cost 300 baht one way. A private driver cost 200. Uber costs anything between 60 baht and 90 baht one way. Why does the Uber fare vary? The fare depends on the city, distance travelled, and traffic conditions. You can find out more here. Can I check how much it's gonna cost before my journey? Yes. The fare is displayed before you confirm your ride. The only things that will make this fare change are if you get stuck in traffic for aaaages, add in extra stops, change your destination, or go a very long way round. 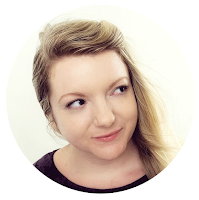 Is Uber cheaper than a red car or tuk tuk? If you're a tourist in Chiang Mai, Uber is usually cheaper than a tuk tuk. Red cars can be cheaper if you're travelling solo or going quite a short distance. Red cars charge per person, so if you're travelling with people an Uber might well be cheaper. How do Uber drivers know where to go? Your driver will use the Uber app's GPS, so you can relax knowing your driver won't get lost. If your driver deviates off the GPS suggested route, ask why. If they don't know or are obviously going the wrong way, ask that they follow the suggested GPS route. I've had one bad Uber experience in Chiang Mai, and that's when a driver picked me up, went to a petrol station, filled his tank, and then took me a long way round culminating in a crawl down one of the busiest, slowest-moving roads in Chiang Mai. I don't think it was coincidence. Do Uber drivers in Chiang Mai speak English? Some speak amazing English, some speak a little, and some speak zero English. How far can you travel in an Uber car? Here's a map of Uber's service area in Chiang Mai. In my experience so far, you can travel anywhere in Chiang Mai city within Canal Road and have no problems getting back from your destination. You can absolutely travel further afield, but it might be difficult to get an Uber for your return journey if it's too far from the city. Do you need mobile data to use Uber? No. You can use a WiFi connection to order your Uber, wait for confirmation, then disconnect. Your Uber will still arrive, because you do not need an internet connection after your ride is confirmed and on the way. If you're paying with cash, the driver will show you the fare on his or her mobile phone at the end of your trip. While not necessary, mobile data is useful when using Uber, though. You can see exactly when your Uber will arrive and if they're delayed, check your constantly-updated ETA as you ride, check that your driver is following the correct route, get notified if they cancel, etc. Is Uber in Chiang Mai safe? Check out what Uber does about safety here. Use my Uber Chiang Mai promo code amyl15952ue to get free rides. Happy Ubering! P.S. I'm really, really hoping that Uber will reduce the number of people drink-driving. If you're going out, just get an Uber home instead of riding your bike. It's so cheap, unlike someone's life. P.P.S Do you love Uber in Chiang Mai? thanks for the uber code! Uber code used. Taking my first trip tomorrow!